A raucous call sounds and a flash of blue brightens the winter landscape. 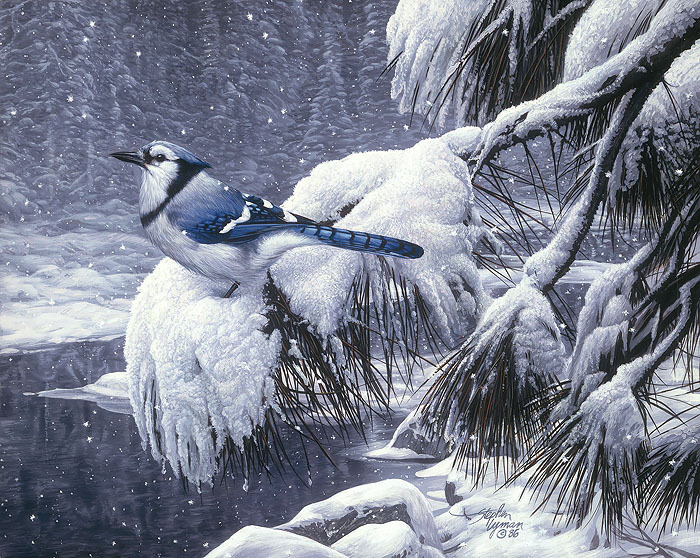 A blue jay pauses on a snow covered branch as if trying to remember the location of acorns he has hidden during the late summer and fall. In a moment, he will spy one of his caches and begin his evening meal. The blue jay, however, hides far more acorns than he recovers. Some of the caches will be raided by squirrels; others are forgotten, allowing the tough seeds to sprout new oak trees. Where the jay leads, stands of oaks follow decades later.